The ultimate relaxation loungers. Whether for your home or business, our tiled heated loungers provide the perfect addition to your pool, hot tub or wellness area. Heath gently rises through the lounger, relaxing your muscles and taking any stress away from you. Choose from a variety of tiled finishes and LED lighting options to further enhance your lounger. Our heated tiled loungers are available either electronically or water heated. They can also be made to any shape and style to suit your existing wellness area. 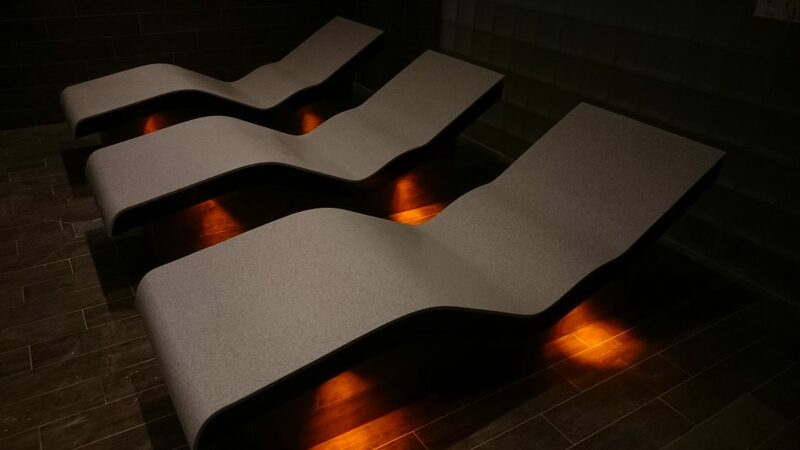 We use only the finest tiles and materials to ensure the look and quality of your heated lounger stands out from any other.